When I left film school in April 2008, I'd been there for 6 years, straight out of high school, had just a couple of classes remaining and decided that I could do without the degree. 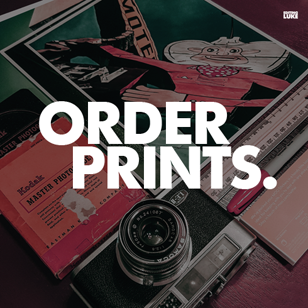 It wasn't an easy decision to leave, but the cost was outweighing the benefits by that point. Student life had provided me with the time and means of pursuing my film aspirations predominantly on my own terms. It felt like I was buying time to continue developing my work and skill, but only in the bubble of post secondary hypotheticals. To be clear, my battle with film school was always the clash between my drive outside of the classroom and the redundant and occasionally time wasting lessons in it. I was more eager to shoot a short than write a paper, build on my experience to complete a project instead of following the lessons intended for those who'd never held a camera, and take a hit on a grade if it meant making a film that was better for my portfolio. I'd educated myself on film history as a teenager using a book on Academy Award nominees as a jumping off point to watch the so-called 'classics'. I saved what little money I had as a kid and spent $125 on a used camcorder a the age of 12 to shoot my own short films. Without even realizing it, I was teaching myself about framing, composition, camera angles, and how to manipulate my footage. In retrospect, it's surprising how much I was trying to prepare myself. I wasn't in film school because I thought it was easy, I was there because I was, and am, passionate about making movies. I wanted to be challenged, and I wanted to find a way into the film industry. There was no second guessing for me, I'd known what I wanted to do for as long as I was asked 'what do you want to be when you grow up?'. At 18 film school seemed like the only realistic option, and without growing up in Hollywood or having a family member to follow in the footsteps of, I did what felt right for me. Still transitioning out my university haze I'm now working as a corporate editor and videographer. I've got numerous festival credits to my name, a diverse portfolio, and a strong foundation to build on. However, I don't think that the answers to achieving the goals that any of us would consider significant are easy to find. Despite my successes I'm still pushing myself to grow, to make new shorts, and to save the money needed to move and make the leap to narrative filmmaking. If you want to work, if you want to put yourself ahead of the curve, and if you want to know 'is film school worth it?' you really need to figure out what it is you want most. At best, you'll just have to make an educated guess. The truth is that you won't know if it was or wasn't worth it until you experience a big enough success or failure on either end of the spectrum to make you justify your decision. 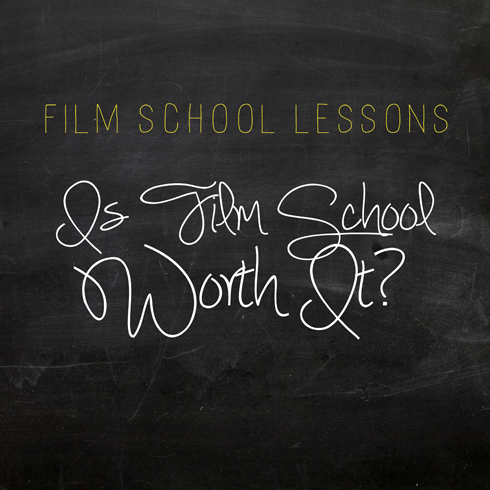 However, if you really just want to know if there's value in a film school education? Yes, there is. Stephen Frears on the question of film said pretty much the same thing. One simply learns by practice. Theory may be useful, but that's the extent of it. Film has been my passion since childhood, but I ended up getting a Master's in French literature. I think that it would actually come in handy should I embark on a cinematic career. Just recently I've finished my first short and it was an amazing experience! And the best way I think is to keep up working and to gain experience by making films. (It's kinda addictive, eh?) Break-through and success will probably happen when we least expect it. Good luck to you and your endeavors and all the best for the new year! Great comment Arashmania. I agree with you that keeping at it is the best way to gain experience. It also seems to me that the more variety you subject yourself to, like you with French literature for instance, is great for challenging your creativity and giving yourself more fuel to use. Thanks for sharing.